So this was one of the novels I picked up on sale the other day, and started it one quiet afternoon at work, and breezed through it and was done that evening. It was a fast read. I understand that this was initially released under a pseudonym (Owen West). I haven’t actually really read any Koontz novel aside from The Bad Place, and I thought this was not the worst place to pick up after that (though I am gearing up to get to the Odd Thomas books). Reading The Funhouse, the novel never really gives too much meat to anything, which is alright. This doesn’t come across as a heavy read. It is entertaining, and keeps you engaged, and flows well, and when I read the afterword the style totally made sense to me (seeing how it was a novel adapted from a script for a movie). I cannot say that I was a fan of Liz’s character at all, she grated on me, and there weren’t any characters you really rooted for. It’s like you feel sorry for Amy, but she made her choices. I think the one character that does stick with you is Joey, and that is due to the immense amounts of pity I felt for that kid. Shame. I loved reading about the carnival, I always find it fascinating, and wish there was more of that. However, as I understand it, there is another novel from Koontz that focuses more on that, so I will have to get my hands on it. There was nothing revolutionary about the characters, and I liked how the whole story wasn’t really revealed, just enough, though I really would have appreciated more of a wrap up at the end of it all. I see the book gets a lot of flak, which I don’t get, because it is just a breezy, fun, quick novel to take in. I suppose if people went in expecting more bang for their buck, they would be disappointed. But really. I must say, that while the book barreled along and it was unbelievable yet entertaining, I was really disappointed by the rush job ending that was tacked in here. I mean really, things had been alluded to and this epic conclusion was building, and it was handled in a few pages. I knew it couldn’t bode well when all the dramatics were in full swing and there were only a few pages left. Oh well. There were plenty little things that I could quickly and easily refer back to other horrors, but like I say, this isn’t a read that needs to be taken too seriously or thought on too much. It feels like a long short story, if you catch my meaning, so not everything is as fleshed out as it could be. Just go with the flow, and you will have a quick filler read. This entry was posted in Books and tagged book reviews, books, carnivals, Dean Koontz, funhouses, horror, quick read, revenge. Bookmark the permalink. The Koontz style embodies the quick read. All his books feel like your breezing through them. You start it off and next thing you know you’re on chapter 10. It makes his books fun to read. I read this when I was young and don’t remember much, but I would like to revisit it some day. Hit the nail right on the head! They are all quick reads, even the thicker novels, they just run along and that’s nice, and fun, as you said. Yeah, this isn’t a bad one to revisit! If you keep reading his books you’ll discover that they’re all basically built on the same formula. 😂 oh that’s beautiful! Next up for me from him are the Odd Thomas books. Great review Bestest!! Sounds like a good enough read. Thanks kindest! Yeah, it was quite enjoyable! Great review, Zoe! This book was actually my introduction to Koontz. It’s certainly one of his most “simple” books but I had fun with it. I love the idea of fun fairs/carnival life. So I read Twilight Eyes not long after this one and that remains my favorite Koontz book – I loved the whole carnival life thing explored in that. Watchers is another favorite (especially for dog lovers). 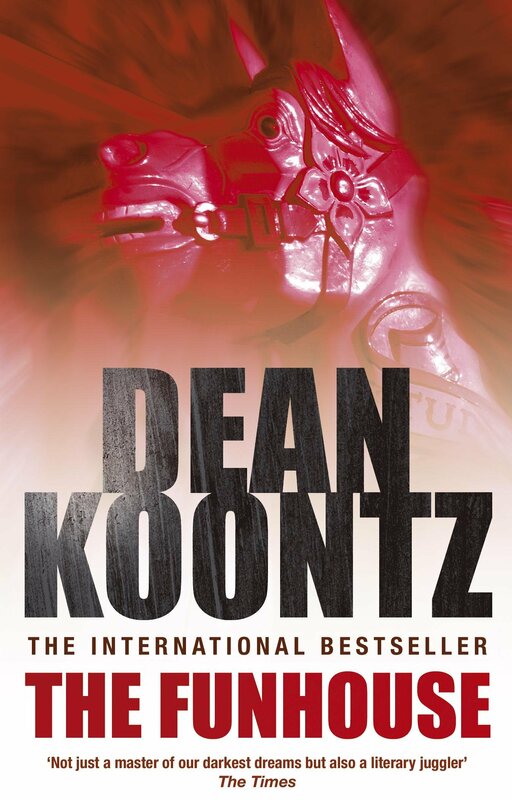 I hope you do check out Odd Thomas, though – I’ve only read the first two books of that so far but the first book is one of Koontz’s best. I guess that’s why he stuck with writing about that character! But, yeah, Abbi was right – every book has the same sort of story with only slightly different characters. 😉 But when I need a light read, I’ll always grab a Koontz book. I’ll add those books to my reading list then, thanks! I like his books for quick, strange reads, so will definitely read more.